(OPride) — Communal violence, killings by security forces and protests in the final weeks of October left at least 30 people dead and some 3,000 displaced across western Ethiopia. The chaos in the restive Oromia State was blamed on state actors, “rent-seekers” and agent provocateurs attempting to foment ethnic conflict and destabilize the region. 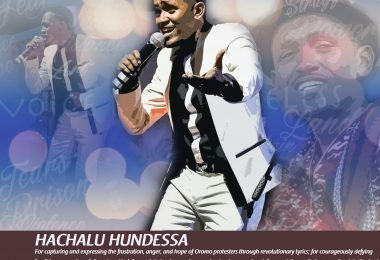 The deadliest violence was reported in the Buno Bedele zone of Oromia, where on Oct. 11, an unruly mob looted property, attacked bystanders and damaged the region’s infrastructure, forcing thousands to flee their homes. Up to 20 people may have died in the violence. Some of the victims were reportedly singled out and targeted by the mob due to their ethnic background. Federal security forces have since been deployed to the area and the situation remains calm. 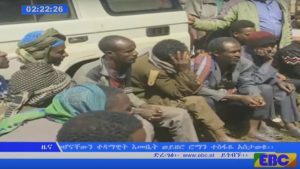 The state-run Ethiopian Broadcasting Corporation (EBC) made the violence in Bedele a focal point of its coverage for days. EBC’s coverage of violence in Oromia came as a surprise, not to mention its apparent sympathy and concern for the victims in Bedele Zone. Its latest reports would not have raised eyebrows had the network not ignored the protests and violence in 2014, 2015 and 2016. Furthermore, it’s puzzling that, although the killings and the displacement of civilians in Bedele occurred on Oct. 11, EBC chose to shine a spotlight on this region and provide detailed coverage of the crisis nearly two weeks after it happened. The reasons for the lengthy delay would soon be clear to most. The outlet, largely known as the government’s agitprop, maintained a deafening silence during the 2016 protests, in which security forces killed more than 1000 unarmed demonstrators across Oromia and Amhara regions and detained tens of thousands. The state-sponsored violence made global headlines and locals grew numb from hearing and seeing the killings of children, youth protesters, the elderly and even pregnant women cross the two states. It’s even more remarkable that EBC continued to provide daily updates of recovery and rehabilitation efforts in Bedele, while completely ignoring the killings of civilians by the Army in the nearby town of Ambo. Weeks after the tragedy in the Buno Bedele, the federal special commando forces killed 11 people, unarmed protesters and mostly in their 20s, and injured 20 others. The offensive was launched to wrest back control of the streets of Ambo from local youth, who had blocked off roads with boulders and tree branches, to stop what they thought was illegal sugar smuggling. The violent offensive had all the hallmarks of the military intervention in the Oromia state last year when the central government first set up a military “command post” and later declared a state of emergency to quell the popular uprising that swept the region. EBC was roundly criticized for portraying a rosy picture of the country and its development even in times of crisis. This is why the decision to allot significant airtime to the killings and displacements in Bedele was seen as a sharp departure from its established practice. It broadcast meetings by locals and community elders, and calls for trouble makers to be singled-out and held accountable. Justice was a recurring theme of the latest broadcasts, as people tearfully recalled atrocious acts committed by people described as “terrorists, criminals and hooligans.” As the violence subsided with the arrival of federal security forces, speakers commended the army for its efforts in restoring peace. In addition to EBC’s curious coverage, the government’s messaging was also disjointed. On Oct. 24, a spokesperson for Oromia State Addis Arega told reporters 245 suspects, had been arrested in connection with the violence. He also noted that some 2,000 internally displaced persons had been returned to their homes. Federal Communications Minister, Negeri Lencho, blamed rioters and “individuals who want to see this country set ablaze by inner fighting” for the violence in Bedele zone. He vowed that the army, which had been mobilized to the region, would ensure that those responsible for the carnage would be held accountable. It is understood that the wave of violence that swept the Bedele Zone took place in the absence of any state forces. EBC’s belated detailed analysis of the crisis appears to be an attempt at placating an outraged public, horrified at reports of a massacre of a dozen civilians in Ambo. This was also evident in the fact that on Oct. 27, a day after the federal special forces entered Ambo and unleashed mayhem, EBC aired a segment on the displacement of civilians in Bedele zone. In it, officials and locals praised and thanked the government and army for ensuring security. A day later, it ran a communiqué from the army proclaiming the region had been pacified. Coincidence? Hardly. EBC completely ignored the killings in Ambo and it is clearer than ever why this was done. Unlike in Bedele where the killers were said to be unruly mob and agent provocateurs, the perpetrators in Ambo were military forces. 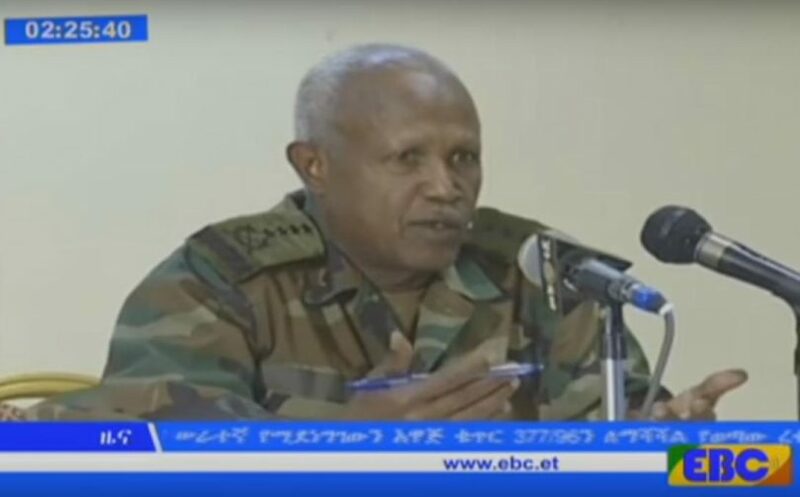 Instead of addressing the widespread impunity of federal security forces, especially in the Oromia region, EBC censored the news coming out of Ambo, instead capitalizing on a week-old conflict to pull the wool over the eyes of its viewers. What happened in Ambo was horrific beyond belief. OPride had analyzed a video from the carnage, which incriminates an overzealous officer barking orders to “finish-off” even wounded civilians. But in yet another vain attempt at pampering the state’s narrative of government dedicated to the wellbeing of its citizens, the state media rallied around the conflict in the Buno Bedele district. State media reporters appear to have been given gag orders on the army’s violent murders in Ambo. In fact, the death of civilians and destruction of properties in Ambo did not come up during recent press conferences by government officials. Despite the state media’s censoring of the Ambo incident, most Ethiopians got the news, directly or indirectly, as social media was awash with the news and images of the victims. OPride’s analysis of BBC video from Ambo went viral, becoming the second-most viewed article on the site only in three days. The video showed gun-toting soldiers walking down barren streets of Ambo shortly before they unleashed a hail of bullets on unarmed and defenseless civilians. It has been shared and tweeted hundreds of times and cross-posted on various Ethiopian websites. Still, this hasn’t convinced officials in Addis Ababa that they owe the Ethiopian people an explanation for the cruel and indiscriminate conduct of its military personnel. The victims in Ambo deserve justice and our sympathy as much as those in Bedele, regardless of who is behind the mayhem. But, at this point, exactly how long will the government’s literal state of denial continue is anyone’s guess. 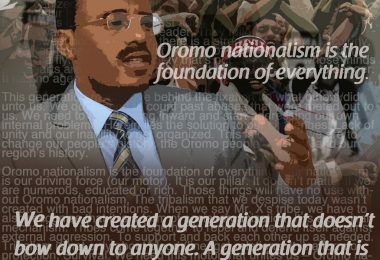 Is the surge in OPDO’s popularity in Ethiopia an accident or a generational shift? Kan Maqaadhaaf kaayame tare; Maaltu Itti Aana? Tplf is fascist criminal from tigray only 6 % minority they are responsible for everything. The difference between the two cases is that the people who died Ambo chose to set a blockade and chose to riot. This clearly shows that you are biased along with this news outlet.